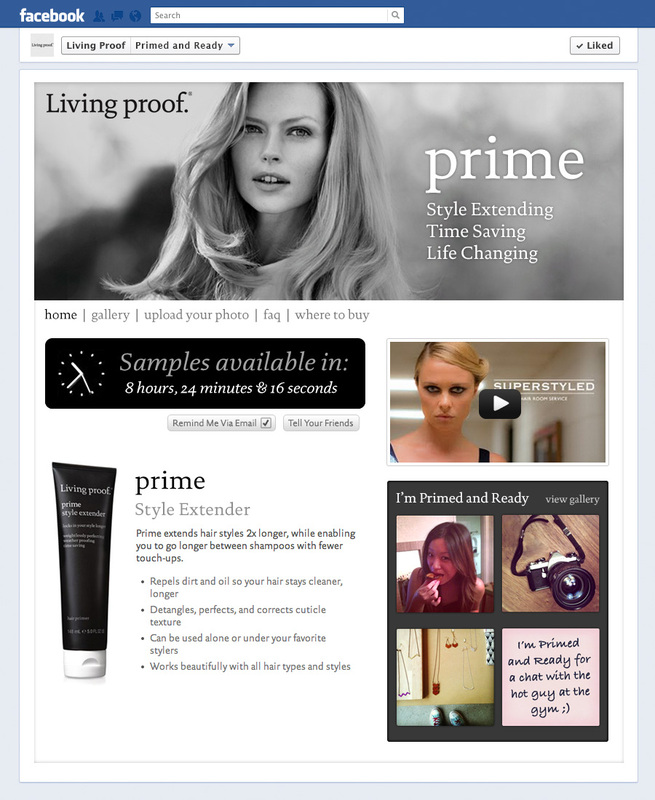 Designed, developed and maintained by Pomp Productions, the Primed & Ready Facebook App provided an instant win product giveaway platform for the launch of Living Proof’s Prime Style Extender product. lasted 25 days during which 1000 products were given away at 9am each morning. The promotion generated a fever pitch with fashion and beauty consumers with days where 1000 products would be claimed within 30 seconds. 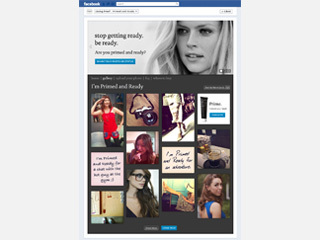 The promotion and was part of an overall strategy conceived and executed by Protagonist which increased the Living Proof Facebook Page Fan count from 100,000 to over 242,000 likes.